Suga Shikao (born: July 28, 1966) is a musician and singer-songwriter from Shibuya (a district of Tokyo). After graduating from Tokyo Keizai University, he worked as a “salaryman” for four years in the advertisement industry. Debuting with a major label EP album release in 1997, his J-Pop music has funk and soul influence, coupled with beautiful and moving lyrics. Several of his songs have been used in the TV anime show Honey and Clover, including ‘8gatsu no Serenade’, ‘Tsuki to Knife’ and ‘Yubikiri’. Yozora no Mukou (“Beyond the Night Sky”), the song he wrote the lyrics to, and sung by Smap, has appeared in several Japanese music textbooks. He also did the theme song to xxxHolic the movie titled ‘Sanagi ~theme from HOLiC the movie~’ and the theme song to the xxxHolic TV series called ’19sai’. “Manatsu no Yoru no Yume” has appeared in the recent Death Note live action movie as an insert song. Also, his song Yuudachi (“Evening Shower”) was used as the closing theme for the movie Boogiepop and Others and the opening theme for the 2000 anime series Boogiepop Phantom. Currently he is hosting a radio program called “Night Stories Monday” on J-Wave radio station which is downloadable as a podcast. 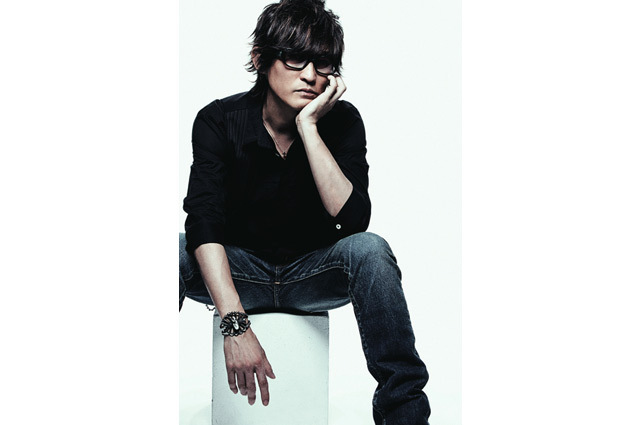 His new single, “NOBODY KNOWS”, debuted as the opening for “XXXHoLic: Kei”. It’s realease date is set for May 14, 2008. The CD also includes 2 other new singles. His song Hajimari no Hi (feat Mummy-D) is the opening theme of the Tegami Bachi anime.